From materials advice and global sourcing, rapid supply service and materials cut-to-size. Stainless Steels are iron-based alloys, with around 12% minimum Cr content to prevent rust formation. Stainless Steels are used in a variety of applications - particularly throughout chemical and power engineering, food and beverage industries, transport and architecture. Stainless Steels are often classified by micro-structure and are generally known as Austenitic, Ferritic, Martensitic or Duplex. A fifth member of the family is Precipitation-Hardened or PH Stainless Steels, defined by the type of heat treatment used, as opposed to microstructure. This is the largest and most commonly-used family member, offering good formability, excellent corrosion resistance and increased strength when cold worked. Indeed this material can be hardened by cold working, but not by heat treatment and although non- magnetic in its annealed condition, cold working may cause it to be slightly magnetic. Austenitic Stainless Steels can be divided into two standard grades (covered by AIS Series 200 & 300) and non-standard grades (including modified versions of the 200 & 300 series, together with higher alloyed Austenitics, Superaustenitic and Valve Steels). 300 SERIES covering the largest category of Stainless Steels are chromium-nickel based (18%Cr - 8%Ni). The basic formula is modified to improve corrosion resistance. 200 SERIES frequently termed as the low-nickel equivalents of 301 & 302, such alloys were popular in the 1950's due to the short supply of nickel. Fabricast maintains large stocks of the 300 Series alloys. Material is available in many forms, sections and extrusions with full cut to size facilities including billeting, profiling and forming. Ferritic Stainless Steels 430S17 (EN1.4016) are iron-chromium alloys with body-centred cubic (BCC) structure. Chromium content is usually 11% to 30% and some grades contain aluminium, nickel, niobium, molybdenum and titanium, with selenium and sulphur also added for machinability. Ferritic alloys are ferromagnetic. They have good ductile and formable characteristics. High temperature strengths are not as good as Austenitic Steels. Limited low-temperature and heavy-section toughness. Ferritics cannot be strengthened with heat treatment and not often by cold working as ferrite strain-hardening rates lower ductile character. Standard 400 series and modified alloy versions. These generally contain 11 - 27% chromium, 0.08 - 20% carbon and small amounts of ferrite stabilisers such as aluminium, niobium and titanium. Low-Interstitial Content (low carbon/nitrogen) grades containing up to 30% chromium, up to 4% molybdenum and up to 2% nickel. 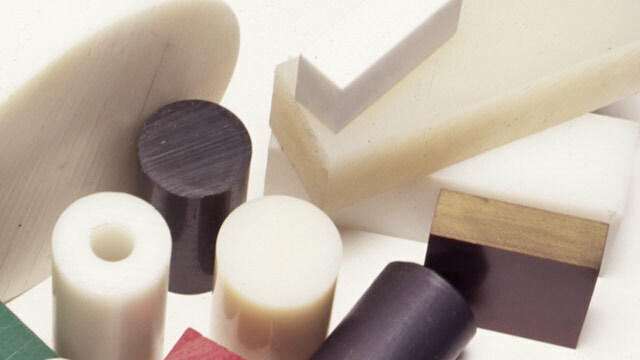 Referred to as Superferritics due to excellent stress/corrosion cracking (SCC) resistance. Martensitic Stainless Steels 410S21 (EN1.4006), 416S21 (EN.4005) 431S29 (EN1.4507) are similar composition to Ferritics, but higher carbon/lower chromium permits hardening by heat treatment. Broadly Fe-Cr-C alloys with body-centred tetragonal (bct) crystal structure. They are ferro-magnetic and resist corrosion only in mild environments. Martensitics are similar to plain carbon or low-alloy austenitised steels that are hardened by quenching and tempered for ductility and toughness. This alloy has a chromium content in a 10.5% to 18% range and carbon content which can exceed 1.2%. The chromium and carbon content balance ensures martensitic structure. Niobium, silicon, tungsten and vanadium additions modify tempering effects after hardening. Improved anti- corrosion and toughness is achieved with nickel and molybdenum additions; limited to smaller amounts to ensure martensitic microstructure. Machinability is improved by sulphur and selenium additions. Ideal for applications where good tensile, creep, fatigue strength, moderate anti-corrosion and heat resistance to 650ºc (1200ºF) are required. Duplex Stainless Steels are two-phase iron-chromium-nickel system alloys, having approximately the same amount of face-centred cubic (fcc) austenite and body-centred cubic (bcc) ferrite, with 20 - 30% chromium, 4 - 8% nickel, characterised by their low carbon content, with molybdenum, nitrogen, copper and tungsten additions. Some of the higher alloy, more anti-corrosive grades are termed Superduplex Stainless Steels. Most are referred to by UNS number, or their alloy contents, (eg, 2507 is an alloy of 25% chromium and 7% nickel). Higher resistance to chloride stress - corrosion cracking, excellent resistance to pitting and crevice corrosion and twice the strength. Achieving sound welds - a traditional problem with Duplex Stainless Steels - is ensured by defining correct parameters and chemistry. For further details please contact Fabricast Technical Support. Precipitation Hardened Stainless Steels are chromium-nickel alloys containing elements such as aluminium, copper or titanium, allowing hardening treatments. Subgroup classifications; Martensitic, Semi-Austenitic and Austenitic PH Stainless Steels are referred to by tradenames or UNS numbers. PH Stainless Steels have good anti-corrosion properties and high strength-to-weight ratios, making them ideal for aircraft, aerospace and defence applications. Available in Martensitic 630 series, 17-4 PH (UNS-S17400). Of all the PH alloys, Martensitic is the most popular, with the 17-4 grade being the most commonly used. With cutting to size, nationwide delivery, expert technical advice & globing sourcing, for exacting needs, Fabricast is your one stop shop. With cutting to size, nationwide delivery, expert technical advice & global sourcing, for exacting needs, Fabricast is your one stop shop. For further details and stock availability please contact Fabricast Technical Support. 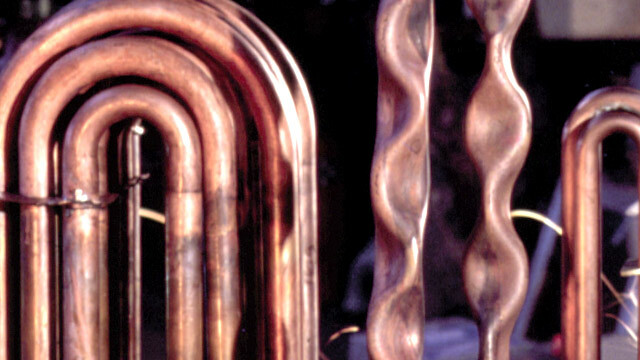 Brass - Covering numerous chemical and mechanical compositions, Brass offers an ideal choice of alloy owing to its general versatility within a wide range of industries. Brass (BS2874 CZ121) BSEN12163 CW614N Extruded solid bar, Hollow Bar, Angle, Flats, Hexagons, Squares, Channel and “T” section. Other sections are also available on request. For further details on this range and stock availability please contact Fabricast Technical Support. Also known as “Manganese Brass or Bronze” this provides significantly higher strength than the standard family of brasses. Resistance to corrosion is further increased owing to the addition of aluminium. These properties provide ideal solutions to heavy-duty applications. Other sections are available on request. For further details please contact Fabricast Technical Support. A copper tin based alloy offering strength and hardness for many engineering applications. 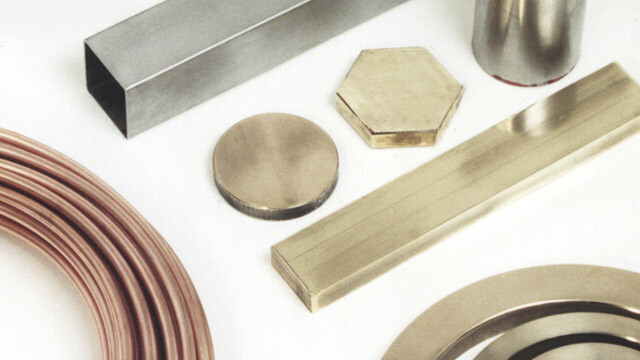 Fabricast maintains large stocks of alloys within the Phosphor Bronze, Aluminium Bronze and popular SAE660 ranges. For further details on this range and stock availability please contact Fabricast Technical Support. Low tin based alloy providing high strength and corrosion resistance/fatigue. Applications include springs, instrument components, fasteners and fixings. Low tin based alloy providing high strength and corrosion resistance/fatigue. Used for condenser tube plates and vessels where higher strength and corrosion resistance than pure copper is required. Medium hard material with reasonable high abrasion resistance and moderate emergency running properties. Suitable for normally stressed sliding bearing bushes and brasses when shafts of general structural steels as well as surface hardened steel are used. 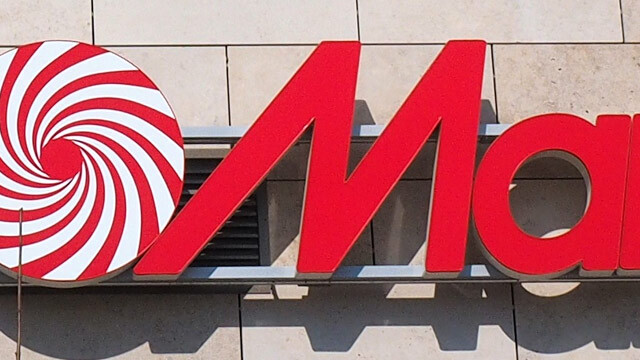 Employed for certain locomotive axle bearing bushes, coupling rod bearings and sliding bearing bushes for general machine construction. Resistant to seawater. Fabricast stocks an extensive range of SAE660 sizes in both cored and solid bar form, with a cut to size facility. Please contact our sales team for a full stock sheet. Copper based alloy with added Aluminium providing excellent corrosion resistance with high strength and offering good weldability. Used for valve and pump components, tube plates and marine condensers. All to BS1452 - in various categories and grades. 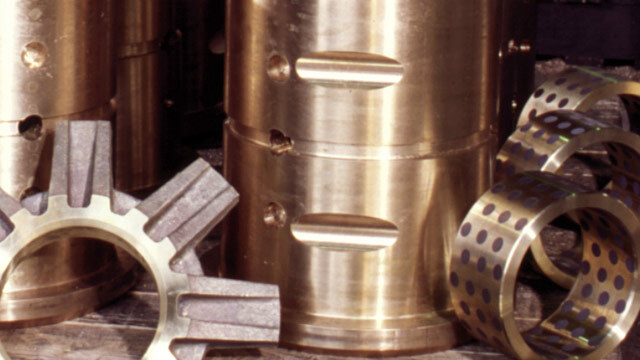 Cast Iron - Fabricast offers a unique cast iron sourcing service from pattern making to finished product, with the option of a sand cast finish, through to proofed or fully machined components in a variety of alloys to meet the most demanding specifications. 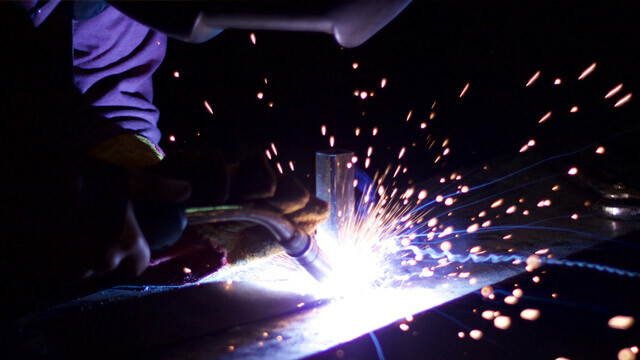 With cutting to size, nationwide delivery, expert technical advice & global sourcing, for exacting needs, Fabricast is your one stop shop - "All Materials, One Supplier"